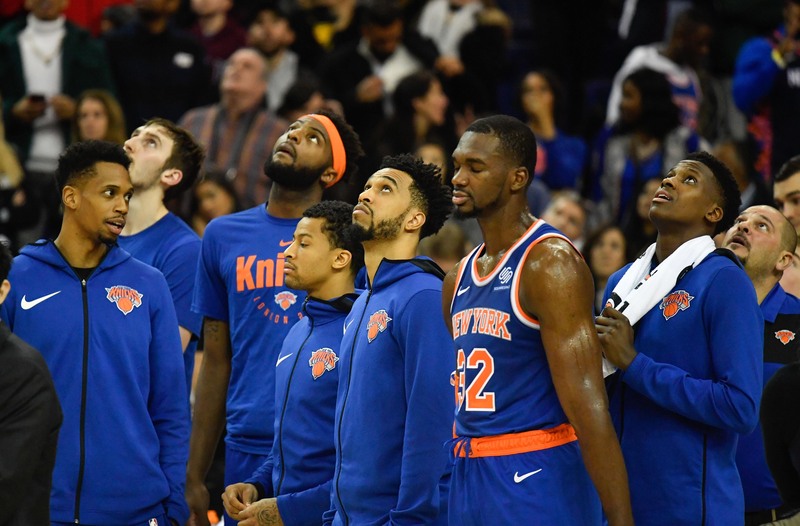 The New York Knicks Are Boring - Is Hope On The Horizon? Home New York Knicks The New York Knicks Are Boring – Is Hope On The Horizon? I’ve spent the last week trying to come up with something to say that’s new or interesting about the New York Knicks. My confidence was shaken, maybe I’m boring and it’s my inability to come up with anything. Then I looked back at my hard-hitting opinion piece about Aaron Judge and realized that couldn’t be it. The NBA trade deadline is looming, so I thought about writing about that, but why bother? The Knicks could trade Enes Kanter for Jabari Parker, which I suppose is like trading dysentery for Ebola, but what would it accomplish? It would make the team worse which is a positive, but possibly more dysfunctional for the younger players. The Knicks trading for Jabari would have been exciting 4-years and 2 ACL’s ago. What about the Dennis Smith Jr. rumors, could I write about that? Well, Smith is now throwing a hissy fit in Dallas over Luka being the focus of the team, and has been benched while they try to work it out. Building around Luka makes good sense since he’s better at basketball, and the fact Smith doesn’t see this says a lot about him. I’m sure he’d totally be cool with being the third or fourth option on the Knicks after KP, Knox, Zion (dare to dream) and/or free agent “x” this offseason. Anytime you can acquire an egocentric score first guard, you should totally do it. Is Dion Waiters still available? I could talk about Frankies development but that article would be shorter than the aforementioned Judge piece. Noah Vonleh has developed nicely but who cares? Tim Hardaway Jr.’s game has me convinced he actively hates me, and is intentionally the most inefficient scorer I’ve ever seen. How about 500 words on Luke Kornet? All this being said I stopped and asked myself how would the greatest journalist in American history handle this situation? “When the going gets tough a pro gets weird” that phrase was uttered by the great Hunter Thompson whose star began to rise from a sports story. So, I’m asking our founder and editor in chief Alex Wilson to send me to a Knicks game, ply me with enough alcohol to make the Knicks interesting and publish the sure to be genius results. What do you say boss, are you ready to release the beast and publish Fear and Loathing in MSG, subheading the NY Knicks are decadent and depraved? If I’m going to watch one more minute of THJ shooting 8 for 24 with 2 rebounds this is the only way to do it. Lets kick out the jams.